On the eve of Thanksgiving 2017, the Crisis Center of West Texas is giving thanks for the generosity of the West Texas community. We have seen this community’s kindness throughout the year, and want to offer our thanks to a few of those who have reached out to us and our clients during this holiday season. On Sunday, November 19, the Odessa Downtown Rotary Club prepared and served an early Thanksgiving meal for clients at our shelter in Odessa. 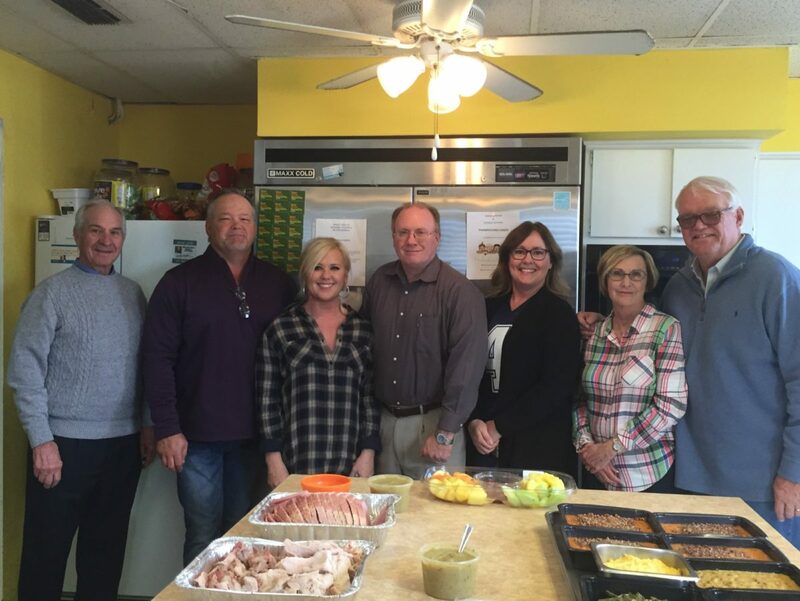 Peggy Dean, a local CPA, has volunteered to prepare and serve a meal on Thanksgiving Day. This is Peggy’s second year to offer her services to our clients. Local DJ Shane Tatum partnered with two of his DJ friends and Hooters to purchase Thanksgiving turkeys for those in need. The Crisis Center received 18 turkeys, which were distributed among non-resident clients living in our nine county service area. 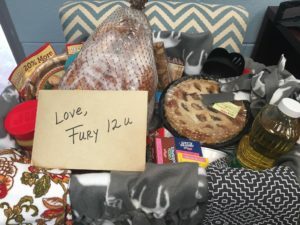 Local girls’ volleyball team, Fury 12 U, made a Thanksgiving basket for a local woman and children who would otherwise be without a Thanksgiving meal. The basket included a turkey and all the trimmings. 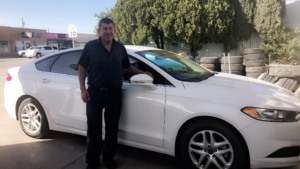 Crane County Commissioner and Crane Mirex owner Domingo Escobedo has offered to provide free maintenance services to our company vehicle. Commissioner Escobedo is happy to provide this service and is grateful that Crane County is among the nine counties served by the Crisis Center. The Crisis Center team is thankful beyond words for the support of this community, and we wish everyone and safe and happy holiday!